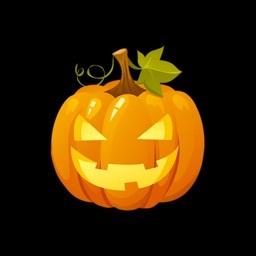 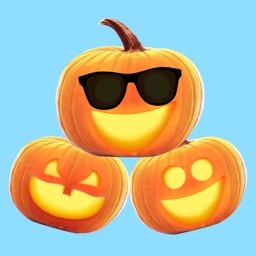 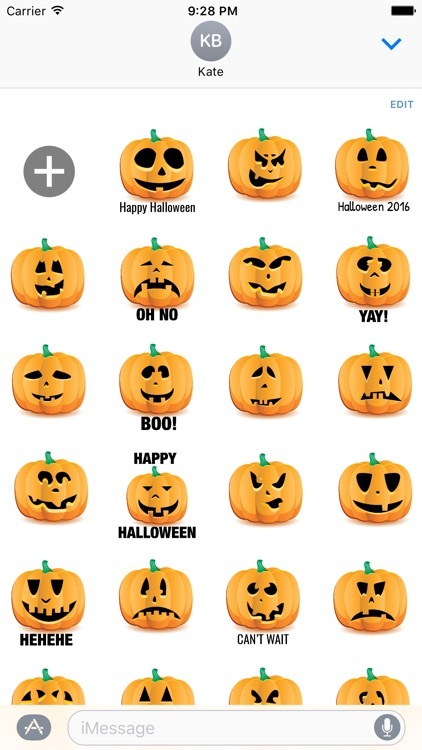 > 25 ready to use Halloween Jack O Lantern Pumpkin stickers! 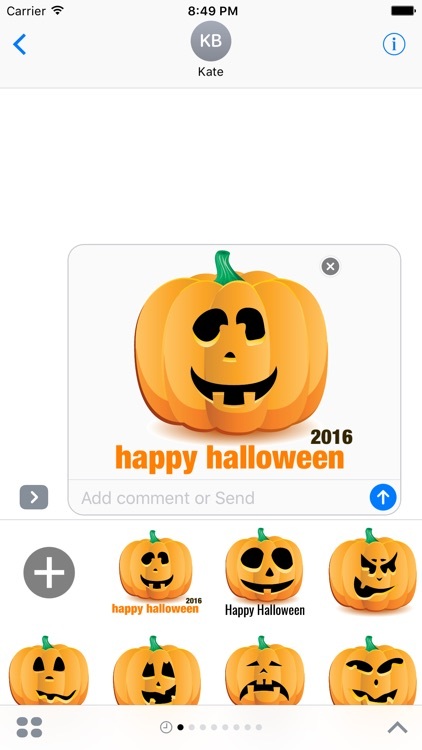 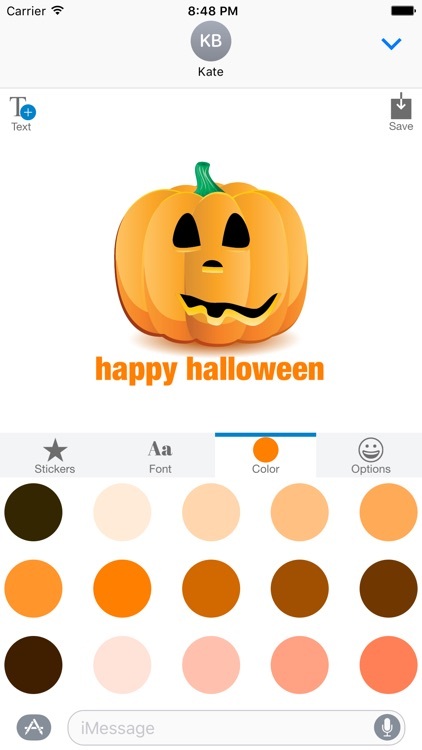 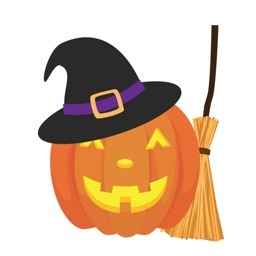 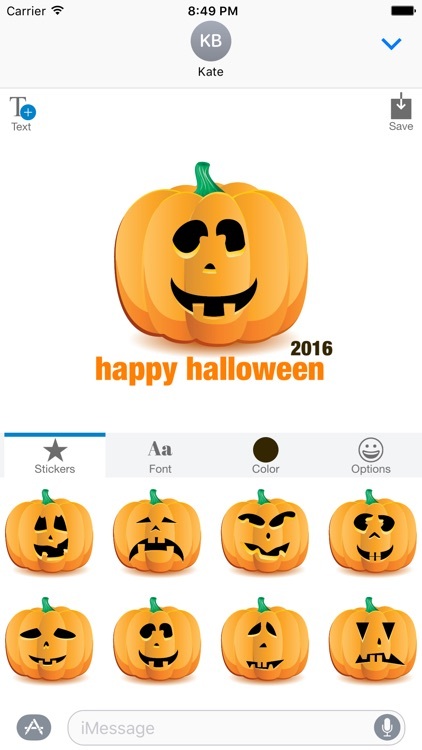 Get into the Halloween spirits with these fun festive stickers. 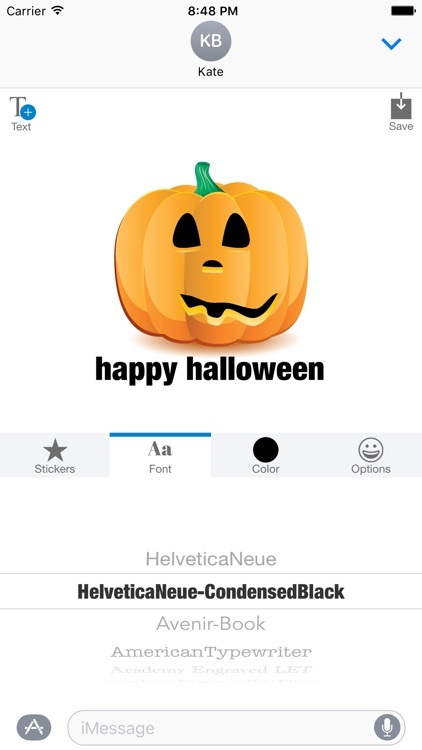 You can also create your own sticker, customize with your own text and emoji. 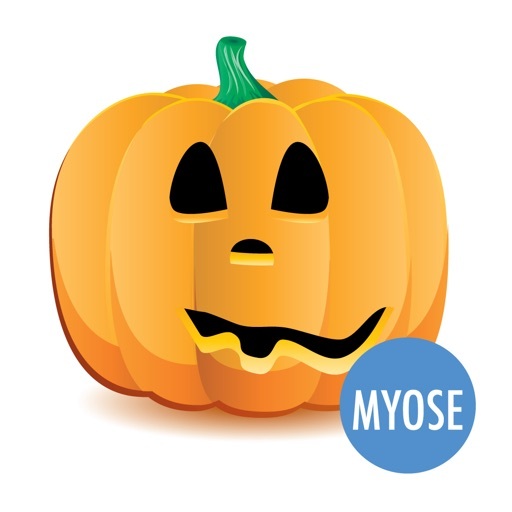 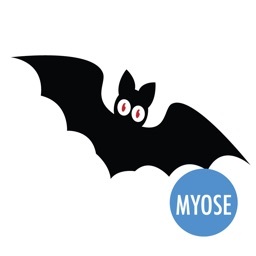 MYOSE stickers are designed and optimized to be small and fast to send and receive. 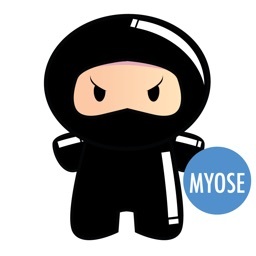 MYOSE stickers are small iMessage apps, and does not have a separate app that takes up the precious space on your home screen.